LONDON: British Prime Minister Theresa May held crisis talks with her ministers Tuesday to try to resolve a months-long Brexit deadlock, as the EU warned of the growing risk of disorderly departure from the bloc next week. May gathered her divided cabinet to try to agree the next steps after MPs failed for a second time on Monday night to agree an alternative to her unpopular withdrawal deal. 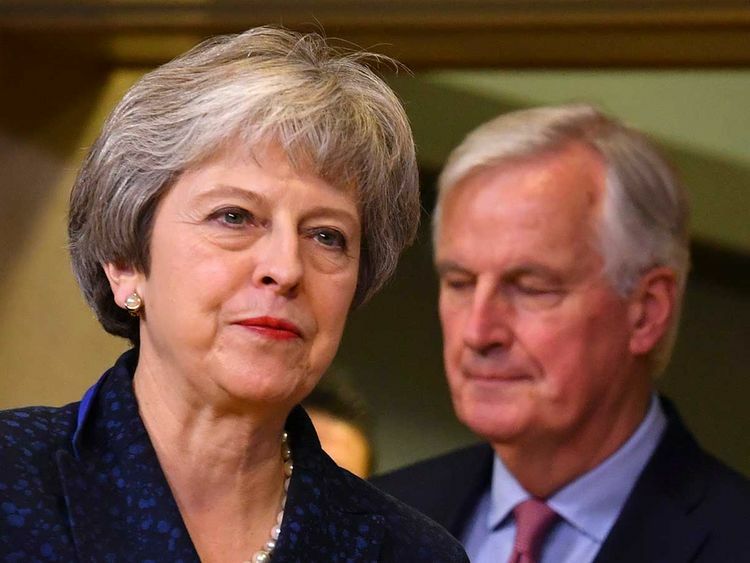 May’s deal has been rejected by the House of Commons three times but she says their failure to agree anything else means it is the only option, and could bring it back for a fourth vote this week. A government analysis leaked to the Daily Mail suggests a “no deal” scenario would undermine Britain’s security capabilities, cause a recession, and increase the cost of food by up to 10 per cent.